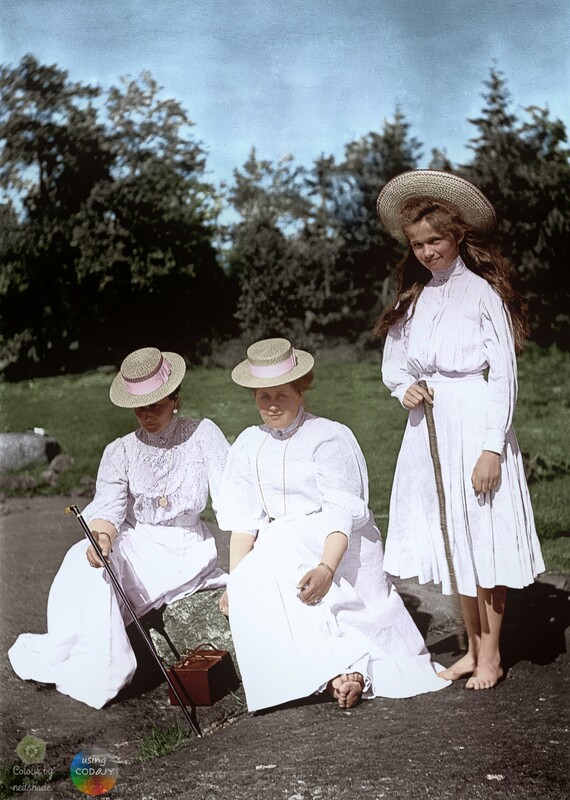 Tsarina Alexandra Feodorovna, her friend and Lady in waiting Anna Vyrubova and the Tsarina’s eldest child, Grand Duchess Olga Romanov, on a stop off on a Finnish Skerry (small island} during a cruise c1908. 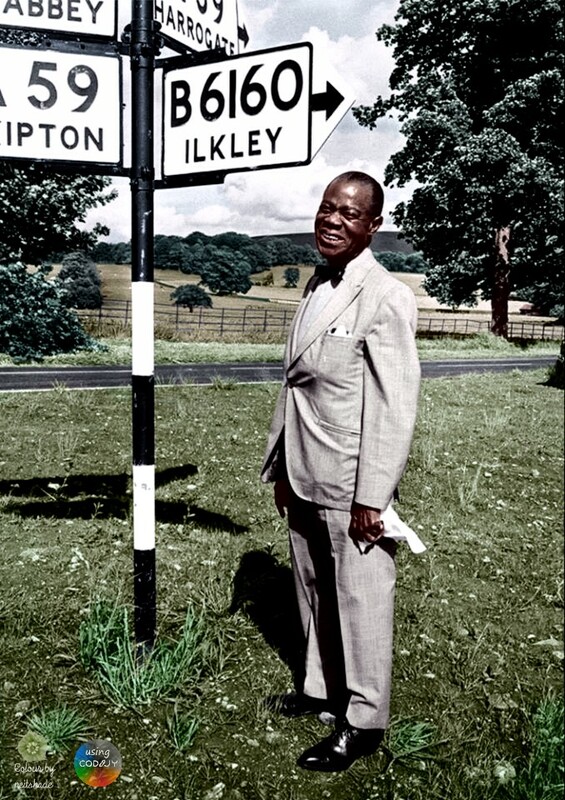 Louis Armstrong, near the end of his career, on a visit to West Yorkshire, England, in June 1968. Queen Elizabeth II in her Coronation gown. 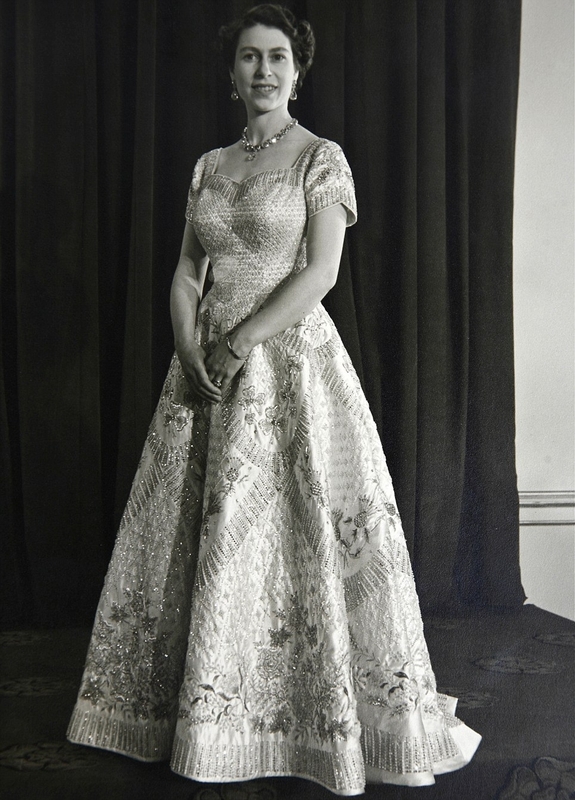 The Coronation took place on 2 June 1953, and this photo will have been taken on or near that day. The future King George V, in 1885, while still third in line to the throne. 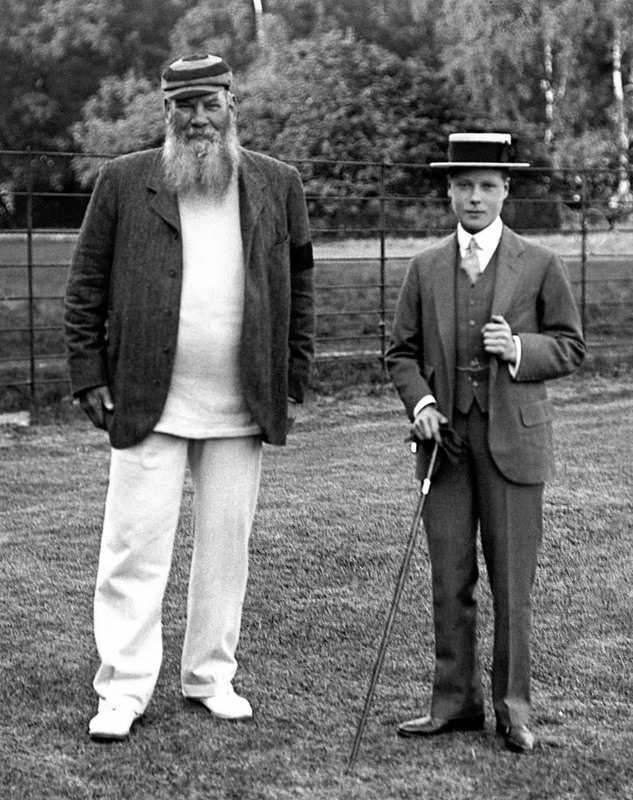 His grandmother, Victoria, was still Queen, his father, who would later become Edward VII, was first in line, and his elder brother Albert Victor was still alive. 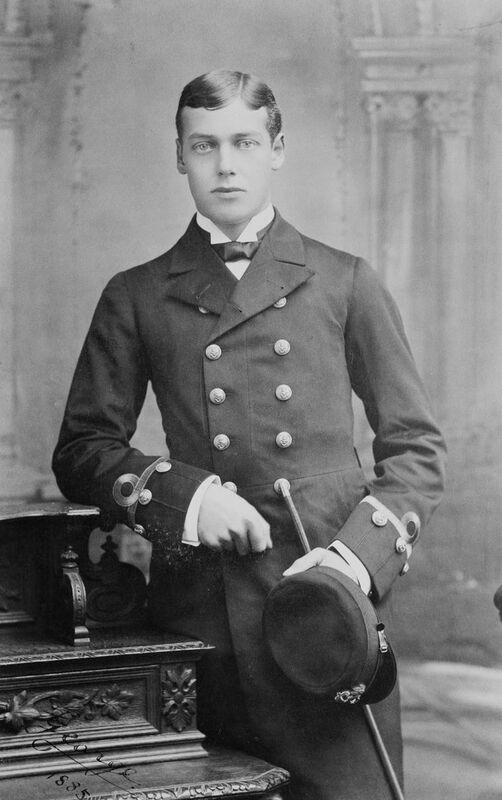 When Albert Victor died in 1892, George moved up to second in line to the throne. 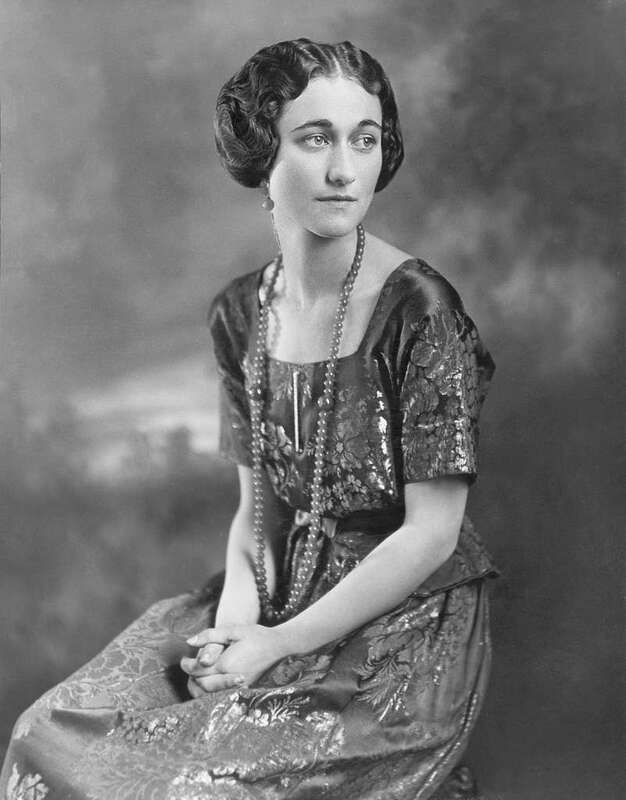 Time’s Person of the Year 1936, Wallis Simpson, who married a King, Edward VIII, and caused a constitutional crisis when he was forced to abdicate. 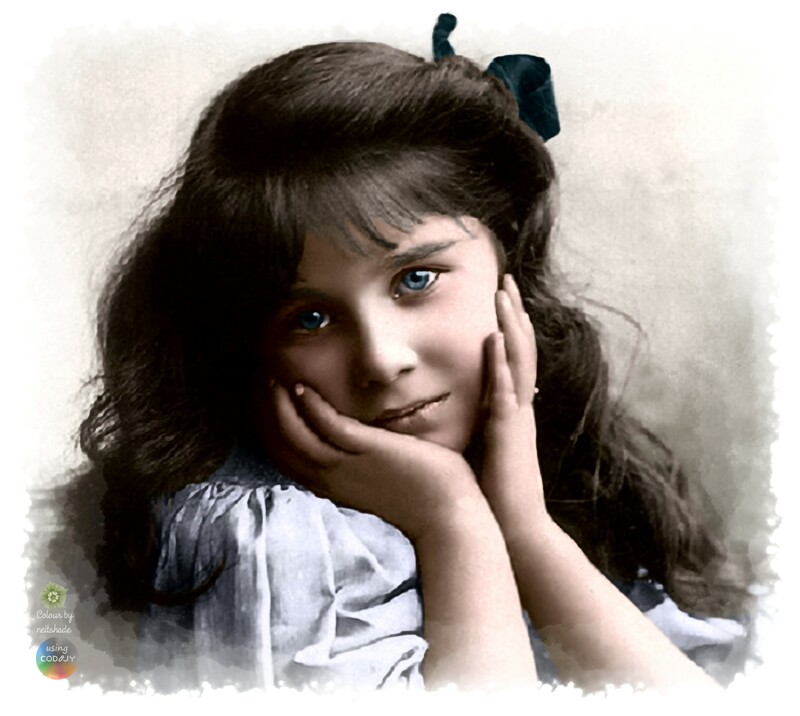 Elizabeth Bowes-Lyon, in late 1907 or early 1908, when she was 7 years old. She would later marry the man who would become King George VI, and her eldest daughter is the current Queen Elizabeth II.